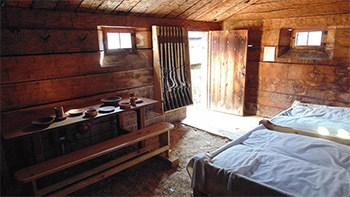 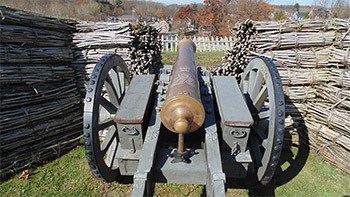 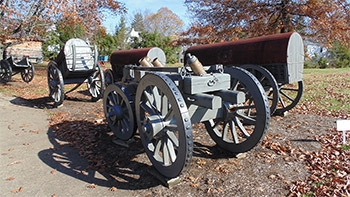 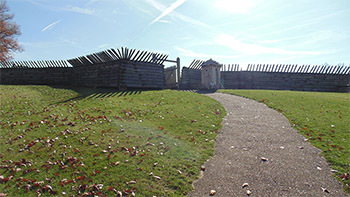 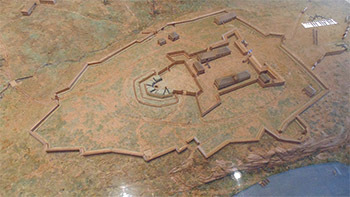 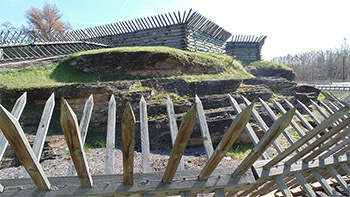 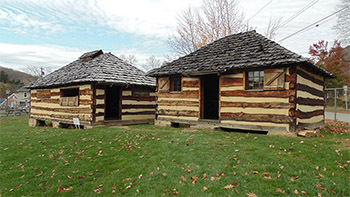 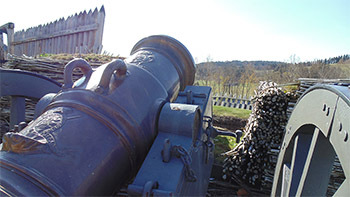 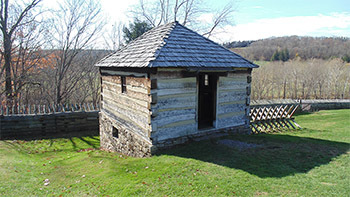 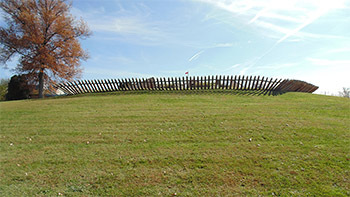 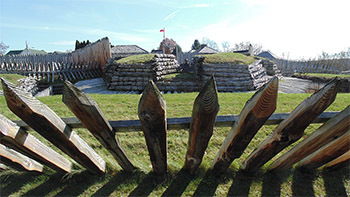 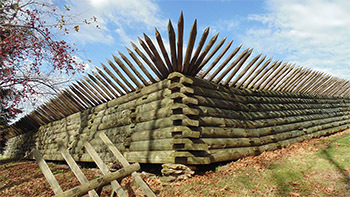 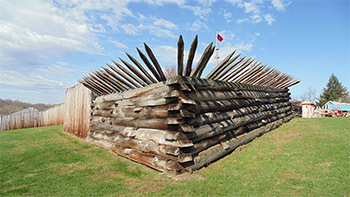 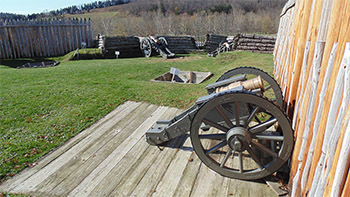 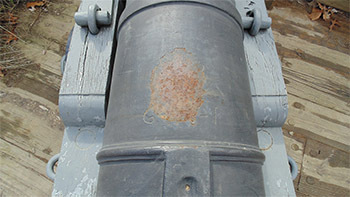 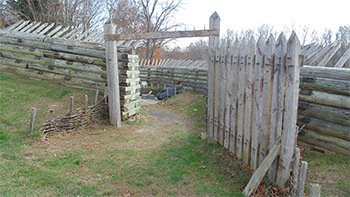 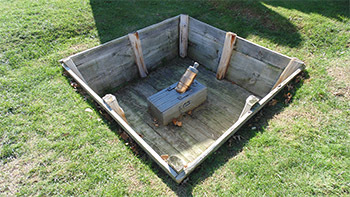 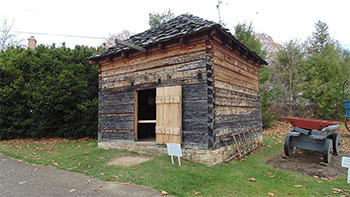 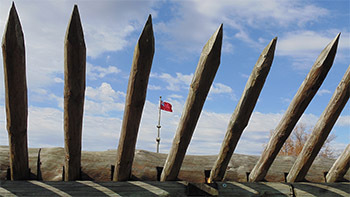 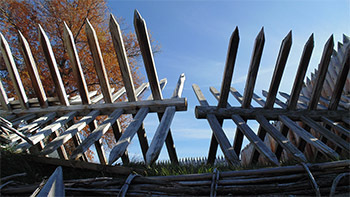 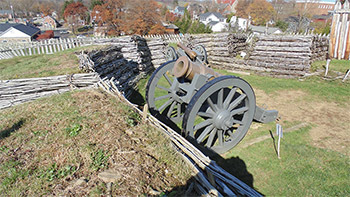 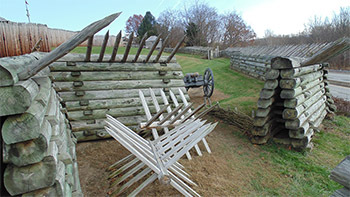 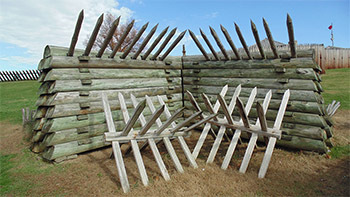 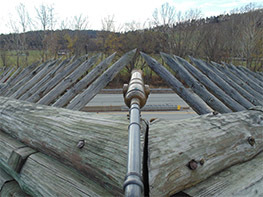 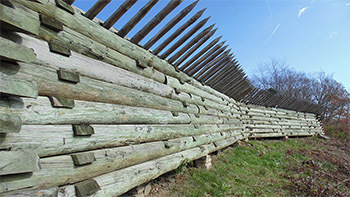 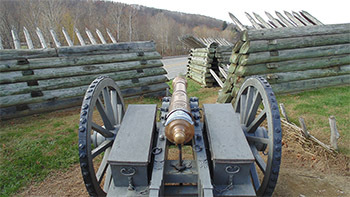 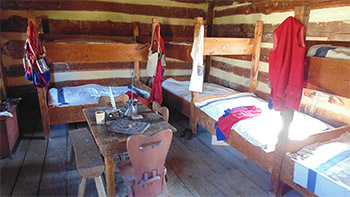 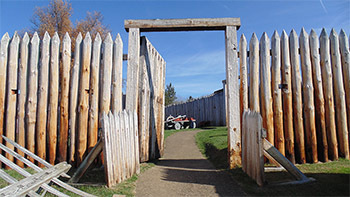 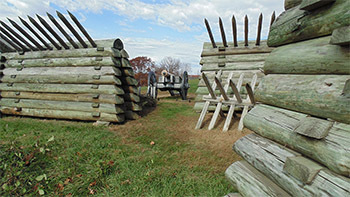 Visit the Starforts.com Fort Ligonier page here! 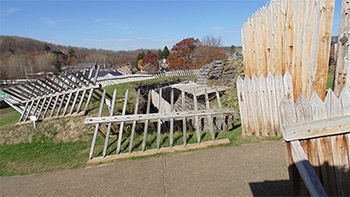 Fort Ligonier, which I learned is locally pronounced Lih-go-nee-yurr (although the word "fort" is pronounced the way one would expect), is located in an area that doesn't seem like it would be in need of starfort-level defense. 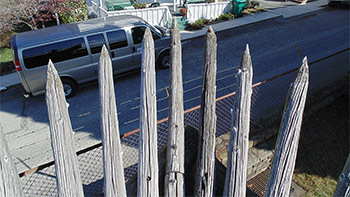 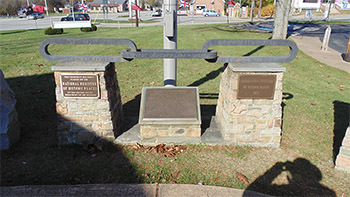 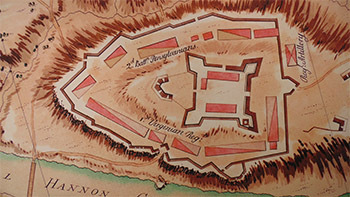 Strategic joinings of rivers, major population centers and harbors, the usual spots one would expect to see a starfort, are not present anywhere near Ligonier, Pennsylvania. 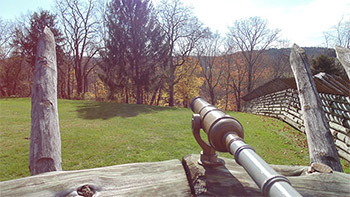 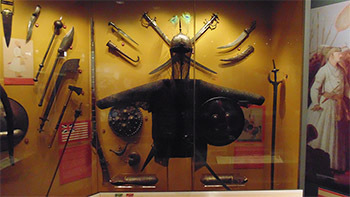 The reason for the existence of Fort Ligonier is Fort Duquesne, which most definitely does exist in a place where one would expect to find a starfort, namely the spot where the Allegheny and Monongahela Rivers meet and create the Ohio River, at what is today Pittsburgh, Pennsylvania. 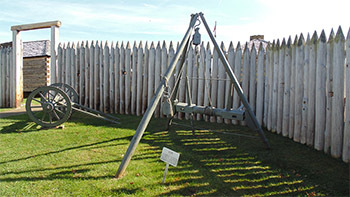 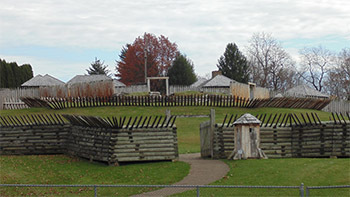 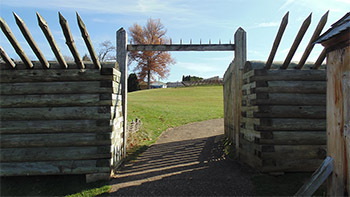 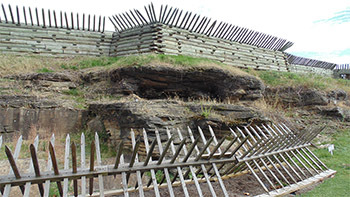 Fort Ligonier was built as a strongpoint along the protected advance made by the British on their way towards the capture of Fort Duquesne during the French and Indian War (1754-1763). 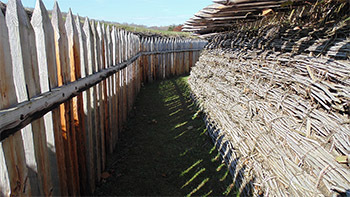 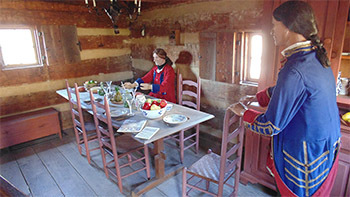 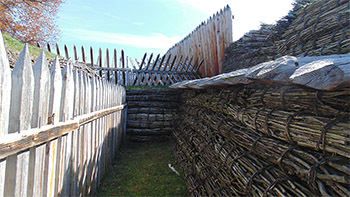 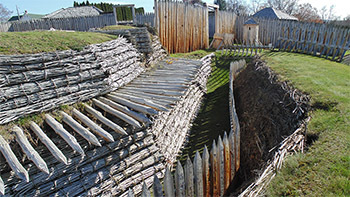 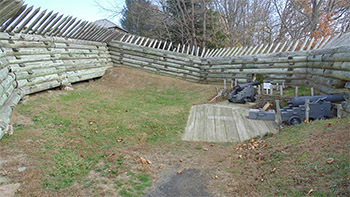 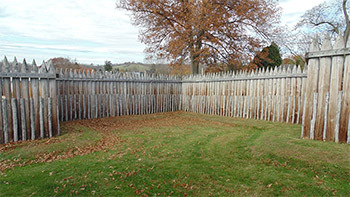 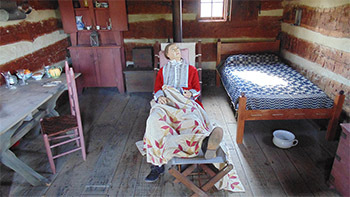 The Fort Ligonier that I visited and which is represented here is a reconstruction, faithfully reproduced by the heroic Fort Ligonier Association over the second half of the 20th century. 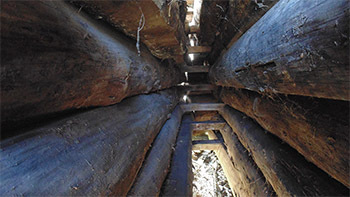 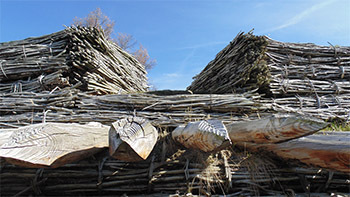 It is a sight to behold, with sharpened logs jutting in an aggressive manner every which way. 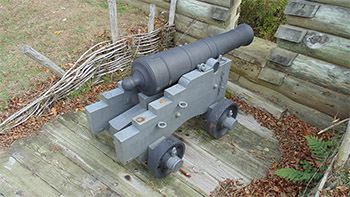 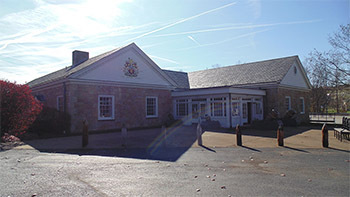 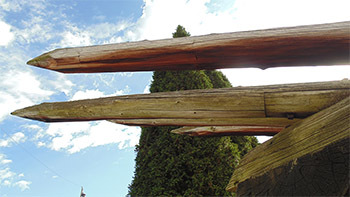 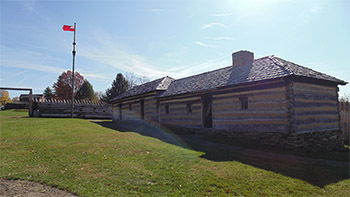 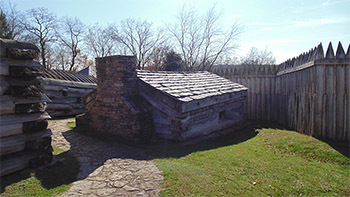 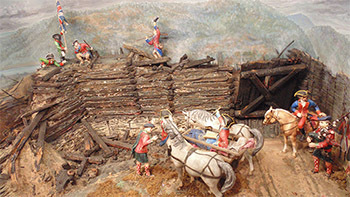 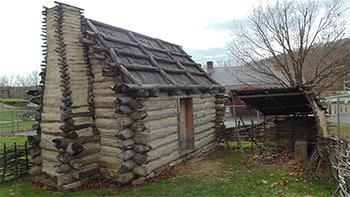 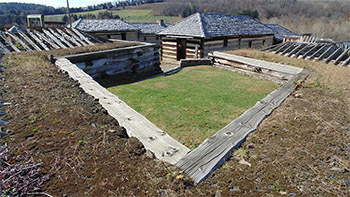 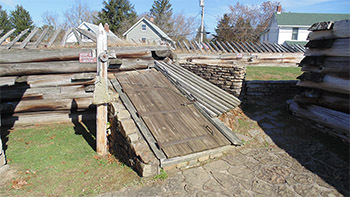 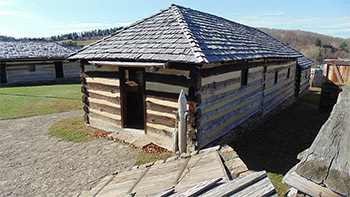 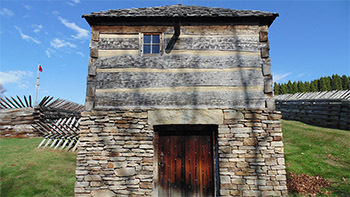 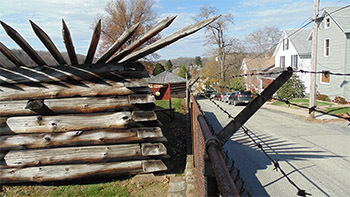 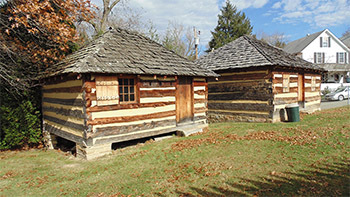 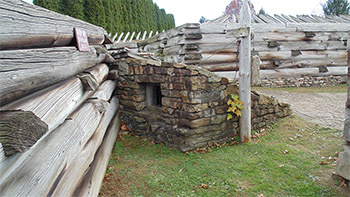 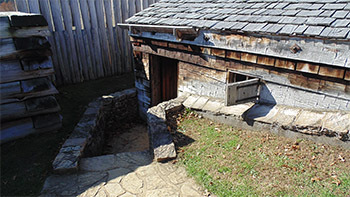 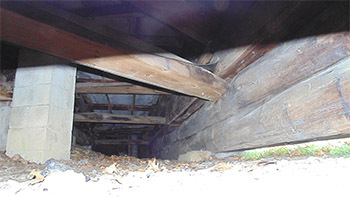 Fort Ligonier is perhaps more reminiscent of Fort King George in Darien, Georgia, than any other starfort I have visited, in that it is made of wood, not masonry. 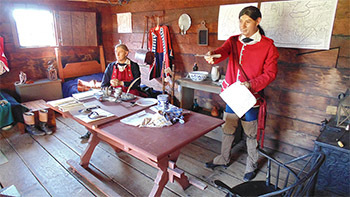 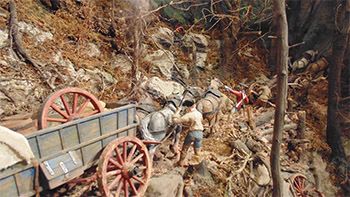 Fort Ligonier has a really quite excellent museum, which impressively details the international nature of the Seven Years' War, which is what the rest of the world calls the French and Indian War. 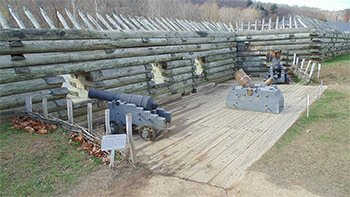 Fort Ligonier does not lack for artillery, as do some less fortunate starforts today! 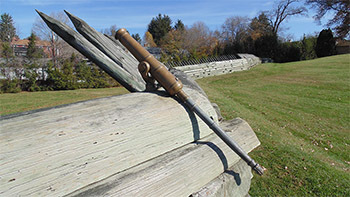 There are several beautifully maintained brass pieces scattered pleasingly around the fort, whose production date as far back as the 1720's. 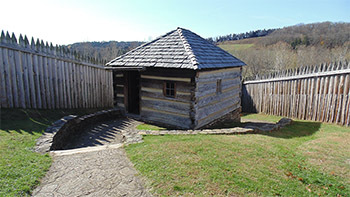 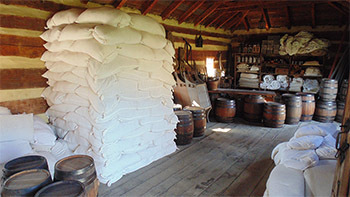 I visited to Fort Ligonier in November, way off of tourist season, so while I had the place almost to myself, there were no reenactors roaming about, or entertaining musket-firing demonstrations. 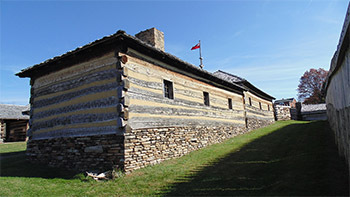 Admission to the fort was $10, and I was talked into purchasing a copy of the Fort Ligonier Official Guidebook & Map for $4 by the pretty front desk lady, which may well be the finest such starfort guidebook that I have yet to experience. 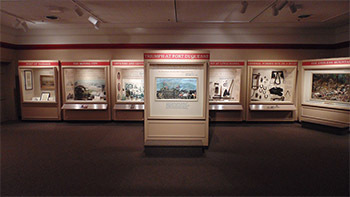 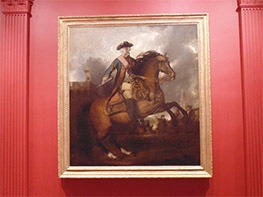 Should you be so inclined, please click on any of the images on this page to see its full-sized counterpart, as well as to read further musings about my visit to Fort Ligonier!